• Dual glide rail sole design with a subtle center keel for getting out of any lie. • Improved playability and incredible versatility, making the Mashie longer from any type of lie or turf. • Optimized set makeup of 3 through 5 hybrid, 6 through 9 iron, pitching wedge, dual wedge, sand wedge for versatility and ideal distance gapping throughout the entire set. 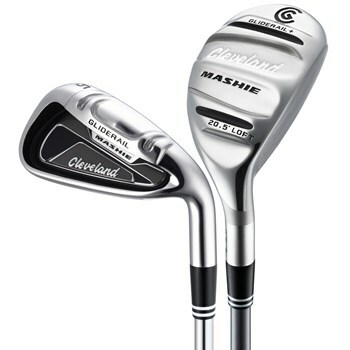 • Gliderail technology and sole design are designed specific to each iron and its function in the set.